It's cookie baking week at my house since on Saturday, my friends will converge here for our annual cookie swap. What am I making? Probably these old-world lebkuchen. Need a last-minute gift? Or a tasty addition to cookie plates for the neighbors? Or short on time? 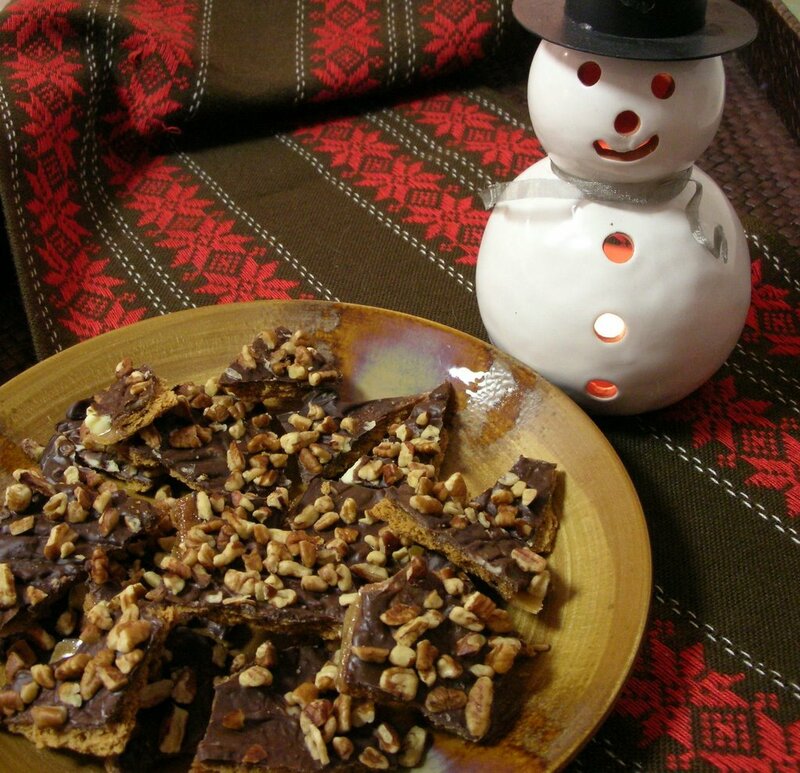 Make graham cracker toffee, so easy and delicious and different from standard cookie fare. And it freezes well so is a good make-ahead option too. Other years I've made chocolatey-chocolatey gourmet mocha cookies and pretty cut-out frosty Christmas trees, archive columns now in the Kitchen Parade recipe box.